Google Universal Analytics (UA) is a new, and free, website traffic and monitoring tool that replaces Google Analytics (GA). Universal Analytics has been completely rewritten and is a real game-changer because it combines the power of Google Analytics with a sophisticated customer relationship management (CRM) software. To you retailers this may sound like a bunch of abbreviations so I will try to break it down for you so you can understand the power of this new tool. When we started building website in 1998 the rage for seeing who came to your website all dependent upon the number of "hits" and "page views" you received. This was later replaced with the number of "visitors". You were mostly anonymous back then and typically only used one browser and computer to access the internet, which equated to one "visit" or "visitor". This is far from the truth today! Not only do you most likely have multiple browsers installed on your computer but you are also accessing the web from a variety of computers, tablets and mobile computing devices. Each instance of these, whether it is from you using multiple browsers on your computer or using your computer and then phone, are all considered a different visit to someone's website. Additionally, there was no way to tie these visitors together so it was really hard to understand how someone was using your website. 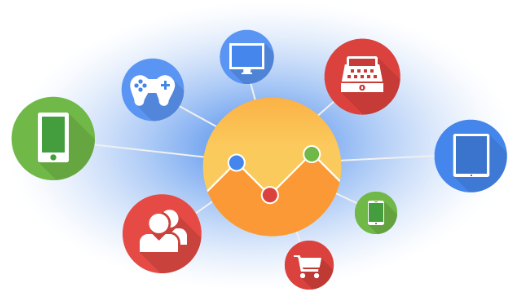 With Google Google Universal Analytics you can now track shoppers across devices with the introduction of a new User ID. This field is passed to Google and is a unique identifier for that visitor on your website, whether they are accessing your site from their computer, phone or tablet. Google UA allows you to see exactly how shoppers are using your website and how multiple screens play into their buying decision. This is a radical shift in thinking which has transformed Google Analytics from a geeky piece of software into a great marketing tool for your business. Google Universal Analytics also has a variety of other improvements like sub-domain tracking, much easier to define custom dimensions and the ability to connect really any device, even your in-store point of sale system, which is really an interesting concept because this would all you to track your customer's habits in-store and online! Please submit a Support Request if you have any questions on how to implement Google Universal Analytics.